Screenshot via ABCPresident Donald Trump’s attorney Jay Sekulow appeared on ABC’s ‘This Week’ Sunday. President Donald Trump’s attorney Jay Sekulow on Sunday questioned the importance of a June 2016 meeting between Donald Trump Jr. and a Russian lawyer. The special counsel Robert Mueller is investigating the meeting as part of the probe into Russian meddling in the 2016 presidential election and the Trump campaign’s possible involvement. Sekulow’s comments come after media reports that Trump was worried about his son’s potential legal troubles because of the meeting, which the president dismissed in a Sunday morning tweet. President Donald Trump’s attorney Jay Sekulow questioned the importance of a June 2016 meeting between Donald Trump Jr. and a Russian lawyer that reportedly has Trump worried about his son. In an appearance on ABC’s “This Week” on Sunday, Sekulow expressed doubt over the legal violations that are in question for the meeting between top Trump campaign officials who met with the Russian lawyer and other Kremlin-linked individuals at Trump Tower in June 2016. Stephanopoulos also pressed Sekulow on his contradicting past statements about the meeting, including initially denying that the president partially crafted a statement on behalf of Trump Jr about the meeting. The White House later admitted that Trump had dictated the statement. 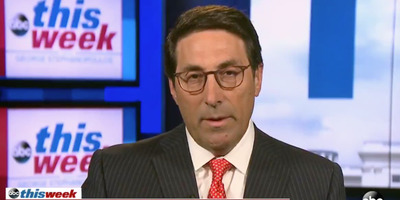 Sekulow also cast his predictions for the next moves in the special counsel’s investigation, calling the review of Trump’s tweets for possible evidence for obstruction of justice “absurd”. He said Trump’s legal team has no “inclination” to allow Trump to sit for an interview with Mueller, against the president’s expressed wishes. Pres. Trump's attorney Jay Sekulow says "at this point," the legal team's "inclination" is for Pres. Trump not to sit down for an interview with special counsel Robert Mueller. Sekulow’s comments come after reports Trump was worried about his son’s potential legal troubles because of the meeting, which Trump dismissed in a Sunday morning tweet. CNN and the Washington Post cited several anonymous sources close to the president who said his concerns over Trump Jr. have pushed him to issue more critical public statements attacking US intelligence and the media. After reports of the meeting emerged last year, Trump Jr. released changing statements about its purpose, eventually acknowledging that Russian lawyer Natalia Veselnitskaya had promised dirt on then-Democratic presidential candidate Clinton but that information was never delivered. “Fake News reporting, a complete fabrication, that I am concerned about the meeting my wonderful son, Donald, had in Trump Tower,” Trump tweeted on Sunday morning.